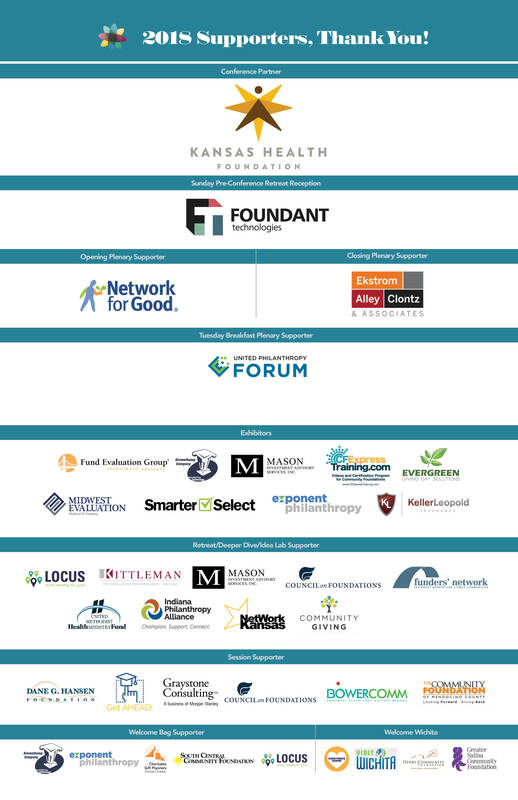 The Annual National Conference for Growing Community foundations gains national recognition. 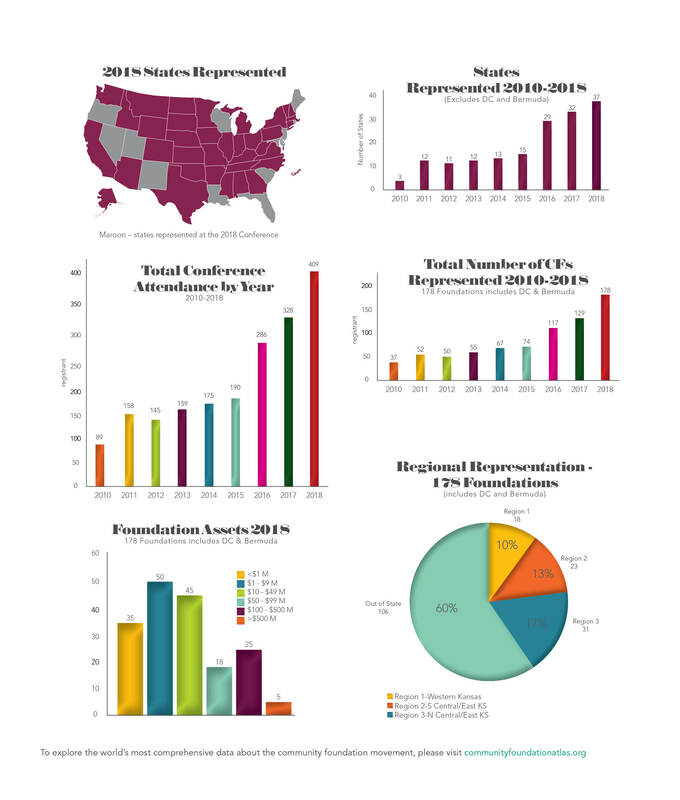 Participation at the conference continues to increase: over 400 participants from 178 foundations from 37 states, DC and Bermuda attended the 2018 Conference. 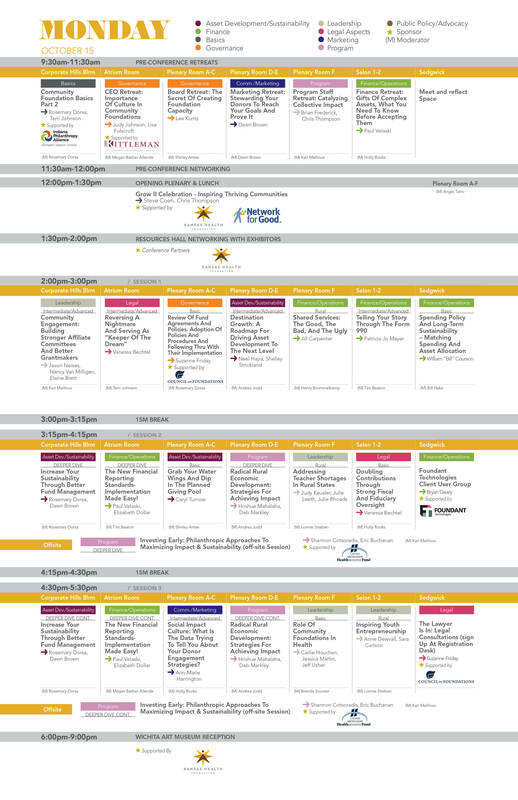 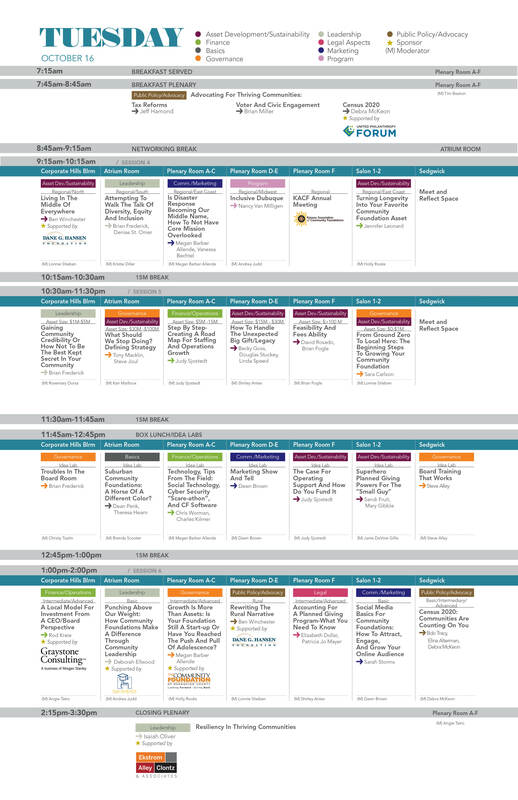 The Annual National Conference for Growing Community Foundations` National Advisory Group carefully selects speakers for a broad base of knowledge and experience. 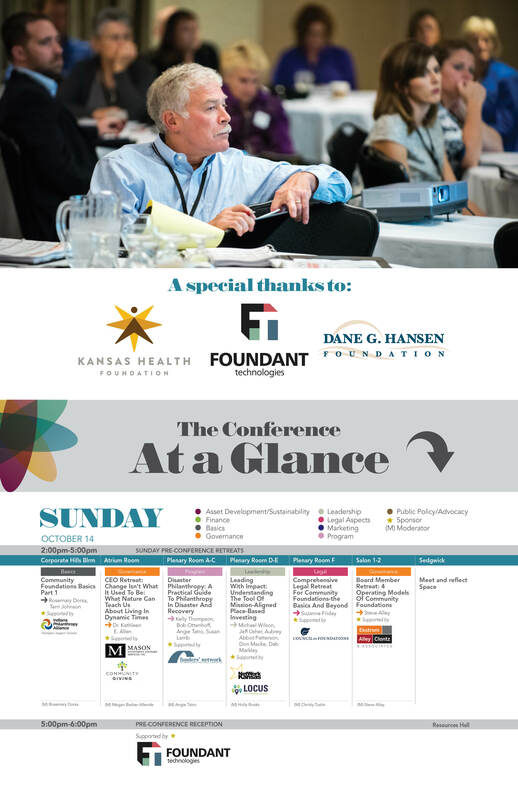 Opinions expressed are those of the speakers and do not purport to reflect the policy or position of the Kansas Association of Community Foundations or its members, hosting the Conference.